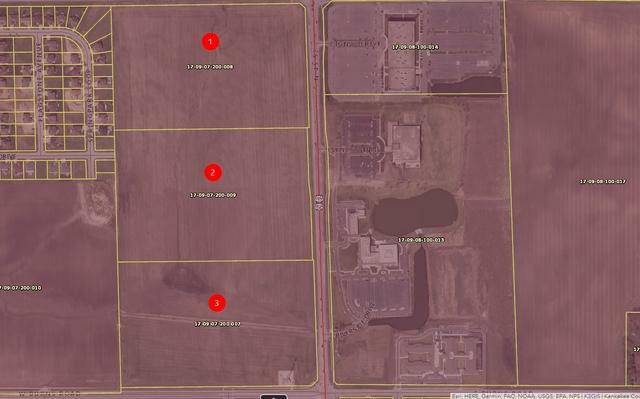 PRIME LAND consisting of 78.61 ACRES on a busy corner on Route 45-52 & W. 5000 N. Road in Bourbonnais across from Cigna Healthcare and Riverside Medical Center. 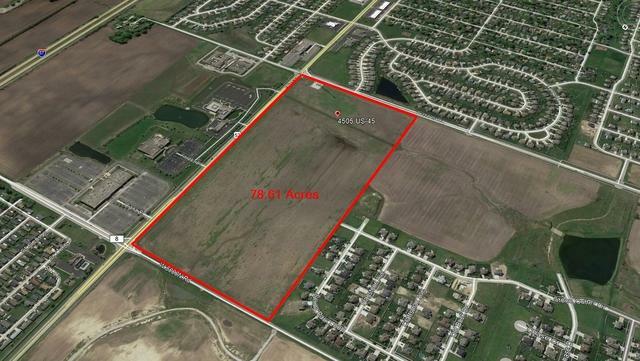 Property consists of 3 parcels approximately 26 acres each. Property being offered at $1.99 per square foot. 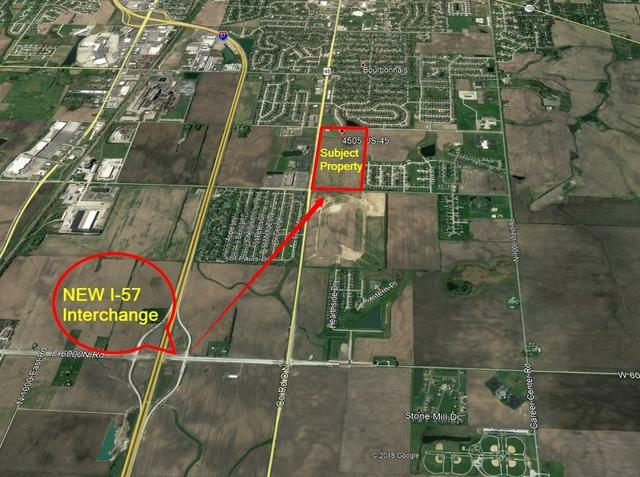 New I-57 interchange is only 1.5 miles south to the property. Currently farmland, with low Kankakee County taxes. Note property is leased for farming on a year to year lease.